Aim at improving preferential market access for LDCs by working towards the objective of duty-free and quota -free (DFQF) market access for all LDCs’ products in the markets of developed countries. 83 % of developed country imports from LDCs (excluding arms and oil) were admitted duty-free quota-free in 2011. 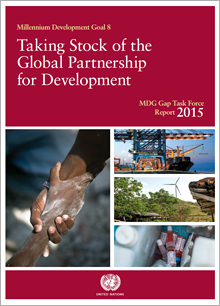 17 % of exports from LDCs to developed markets stiff face tarriffs. Commitment reiterated at the WTO Hong Kong Ministerial Conference which called for developed countries to grant duty-free market access for 97% of products from LDCs.